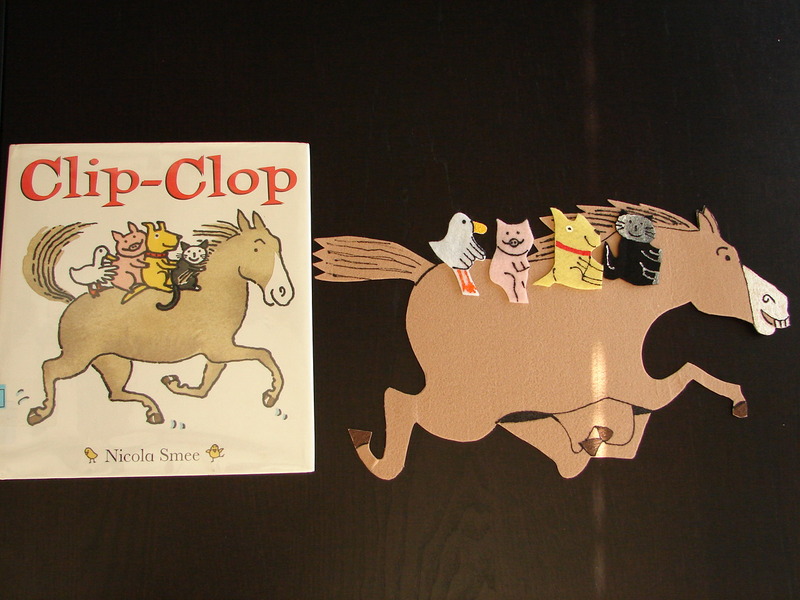 One of my toddlers’ favorite stories is Nicola Smee’s Clip Clop. I have been using the book for a couple of years now and recently made a flannel and a puppet story to use with them as well. For the flannel story I created a horse that is big enough to take up all the space on my lap board. 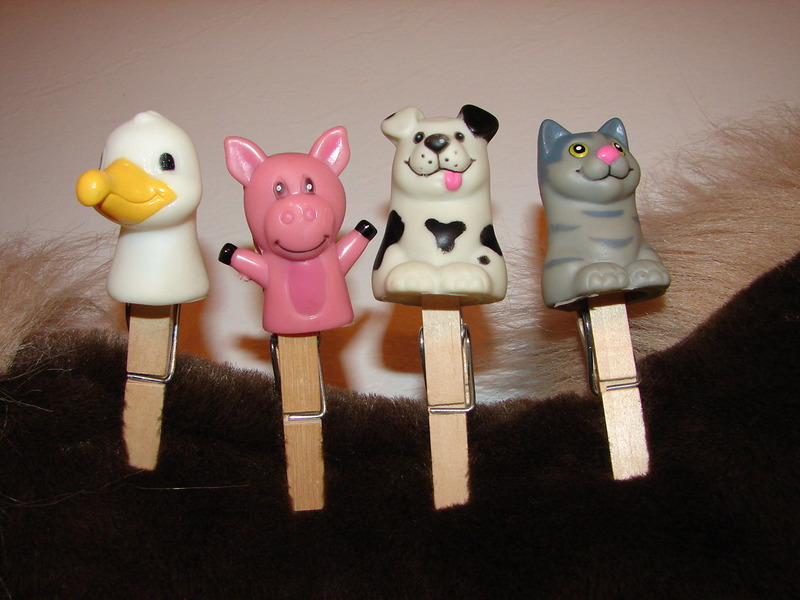 I made enough cats, dogs, pigs, and ducks for my biggest crowd and pass them out before I read the story. By the end of the book the horse is totally covered with farm animals! I made a puppet version of this story, too. I use my horse puppet as Mr. Horse, and finger puppets from my collection for the other farm animals. 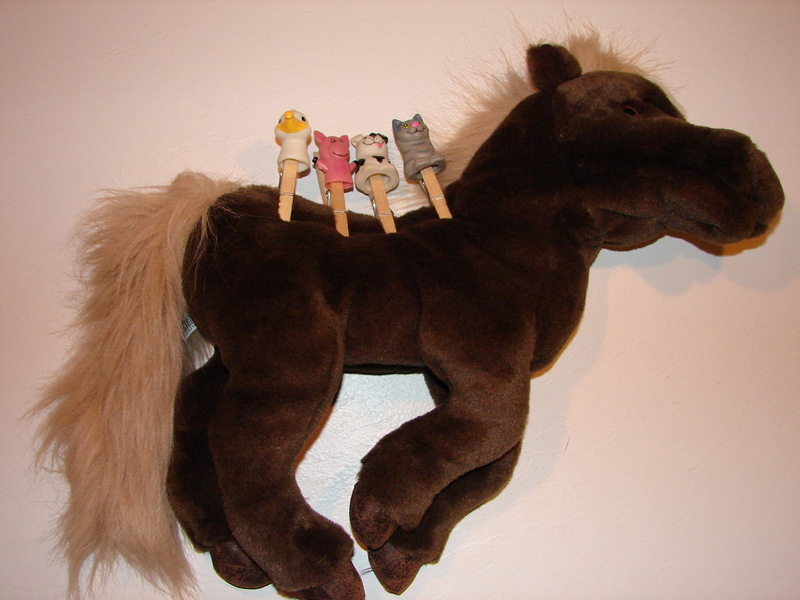 As each animal asks to get on horse, I add a clothespin and slip the finger puppet on top of it. I make this version of the story more interactive. Each time a farm animal gets on Horse I have the kids clap their knees and as Horse gallops. We go faster each time, until all the animals fall off Horse at the end! I love this book. It’s one of my favorite storytime books for a group. I use small puppets on the horses back and have them fly off. I like your ideas. 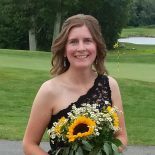 At our library we can not do a Christmas theme because of the religious connection. I use Smee’s book “Jingle Jangle” with the same theme in snow. 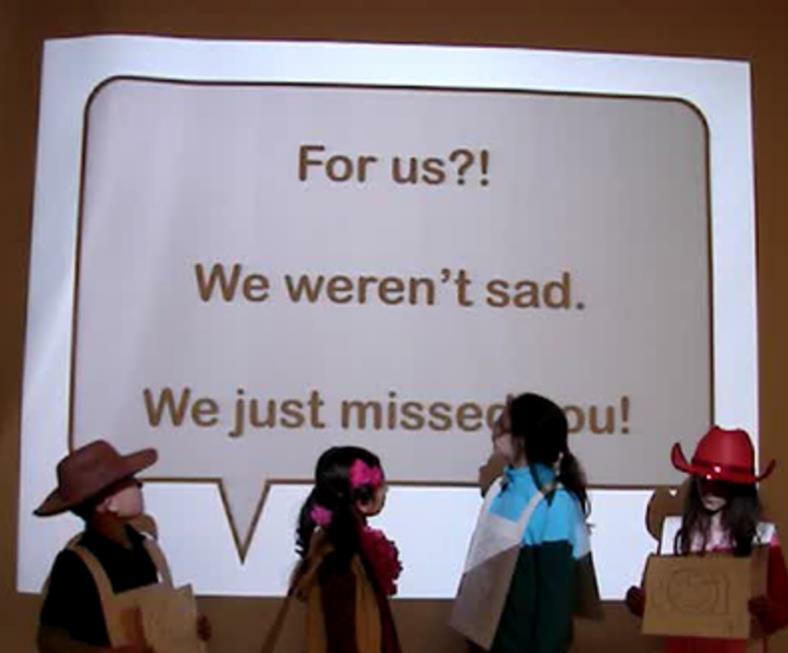 This entry was posted on January 13, 2013 by mrsshaia in Farm Storytime, Flannel Friday and tagged Farm Storytime, Flannel Friday.